This is the famous "Riech!" box released back in 1995 to promote both the album "Herzeleid" and the single "Du Riechst so Gut". 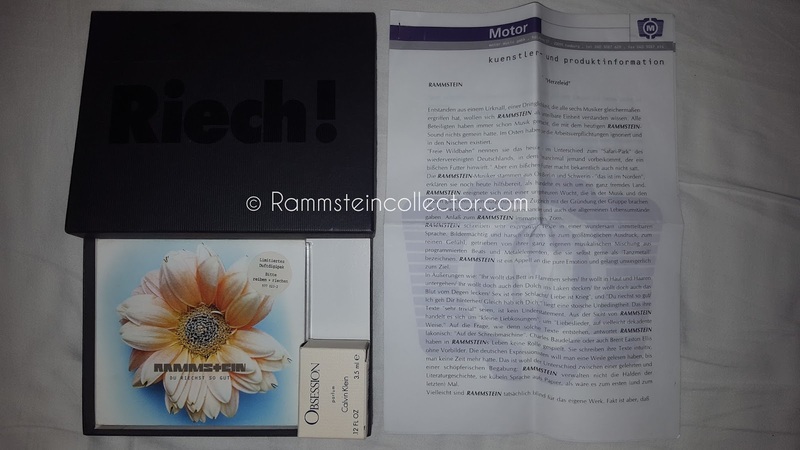 The box contains Herzeleid CD, Du Riechst so Gut '95 Duftdigipack, Calvin Klein obsession perfume, Motor Music GmbH press sheets and comes in a custom box. It's speculated to be limited to about 250ex. 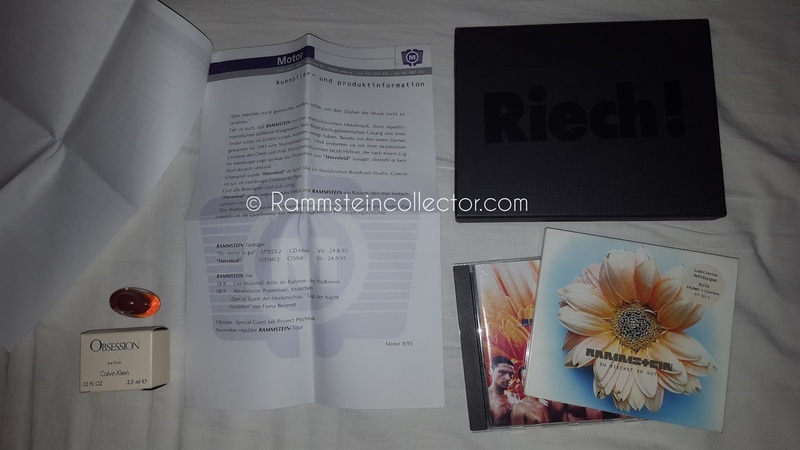 The concept behind "Du Riechst so Gut" from both Rammstein and in particular their former manager Emanuel Fialik (Pilgrim Management GmbH) was to create a unique image. This involves the marketing, the music but also the visual appearance of the band. 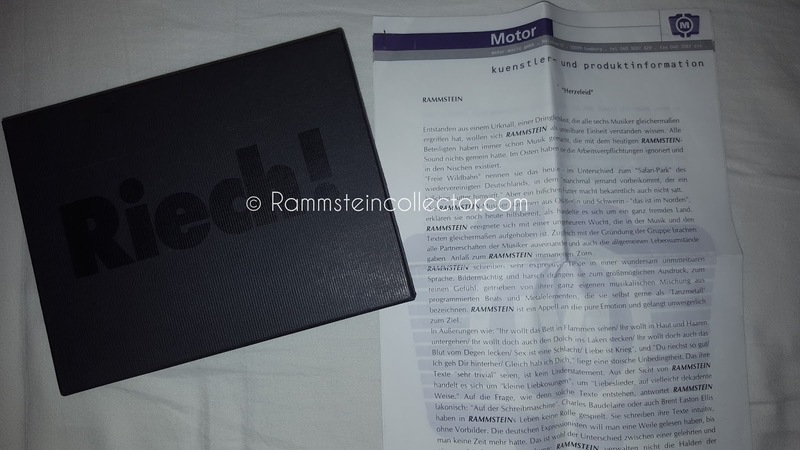 From the beginning Emanuel wasn't interested in working with Rammstein but he changed his mind after being persuaded to see them live and remained their manager from 1994 all the way up to 2010. "Riech!" was the result of Emanuel's ideas and concept for the band. A time era which Richard Kruspe described like this:“How would I sum up that period in our lives? We had to go through it to get to where we are today".